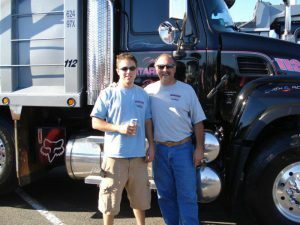 Joe Matarese Jr., Trucking was established in 1986. In 2003, Joseph III joined the company. Today the father & son team continues more than a three decade reputation for providing excellent service to numerous commercial, industrial, and residential customers. Assisting her husband and son, Connie Matarese is responsible for the administrative functions of the company. Six dump trucks dependably meet the transport and hauling requirements of various contractors in the central and southern New Jersey areas. Joe Matarese Trucking, transports and/or supplies sand, stone, fill dirt, top soil, asphalt and recycled materials to suit your needs.